Sales and marketing teams want the same thing, which is to consistently meet customer needs, perform well as individuals and teams, and help their employer achieve financial success. However, the two areas often don’t agree on how to achieve these goals. The result is frustration that leads to misunderstandings and distrust among both teams. Fortunately, the two teams can learn to work together to achieve common goals while avoiding the clashes that arise from competing priorities. Following certain guidelines can help maintain a healthy relationship between sales and marketing. It’s the job of the marketing team to find leads to pass on to the sales team for follow-up. That means that marketing team members may get so focused on producing a certain number of leads that they settle for poor quality. Spending time on leads that aren’t likely to result in a sale is a frustrating waste of time for salespeople. A good compromise here would be to let the marketing team know that quality matters much more than quantity. That takes the pressure off them to produce leads at any cost. It also helps nurture the relationship when the sales team expresses thanks for the high-quality leads they do receive. 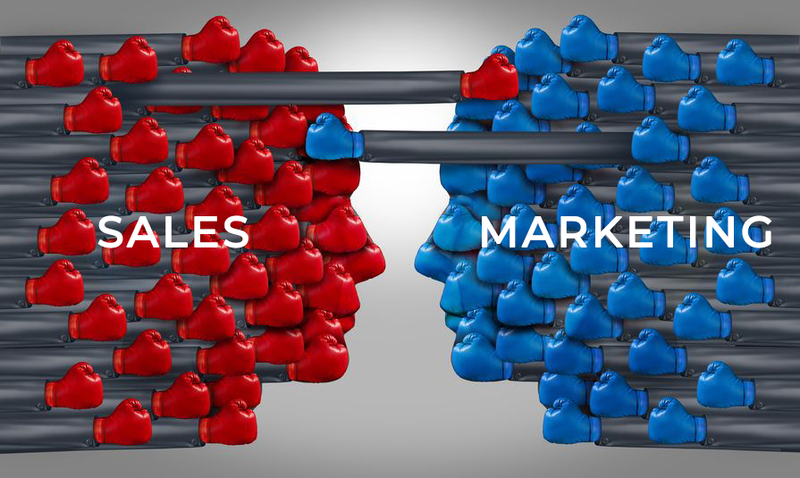 Although marketing and sales teams may know they share common goals, perhaps they have never had the chance to hear what the other team thinks. Holding regular communication meetings where a representative from each team defines goals is essential to fostering healthy communication. It’s possible to avoid a lot of friction by using common language to describe goals and problems. Each team should have in-depth insight into what the other does to produce and follow up on leads. It’s a recipe for confusion when each team uses different analytical models and tracks different information to determine how well they meet their goals. For better alignment between teams, it’s critical to develop a system that each can use to determine the strengths and weaknesses of each sales campaign. The teams should also agree on the best ways to nurture a lead who has expressed interest as well as understand the percentage of leads that convert to paying customers every quarter. A great benefit of this type of collaborative analysis is that each team can see and take responsibility for the factors that lead to a sales decline. Historically, only sales teams have used customer relationship management (CRM) software to track prospects through the sales pipeline. However, keeping this data away from the marketing team only widens the gap between the two. By making CRM software available to the marketing department, they can step in to provide nurturing when a prospect appears in danger of falling off the pipeline for good. Allowing both teams access to CRM software also enables them to have a complete view of every interaction with a customer, not just their own. This encourages understanding and fosters teamwork when sales and marketing specialists see that they really are working towards the same goal of winning a customer for the company. Change won’t happen overnight if the two teams haven’t worked well together for some time. The important thing is to keep pressing towards the goal of mutual understanding.